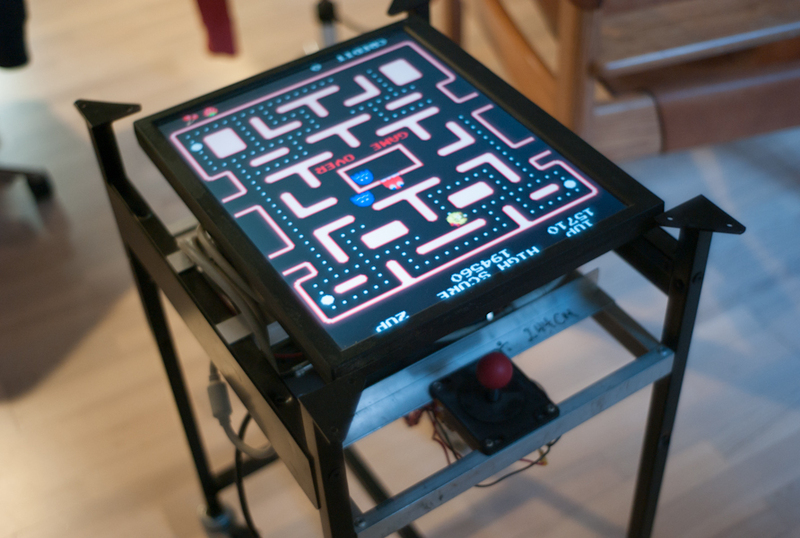 This is an old overhead projector cart converted to a bare-bones Ms. Pacman cocktail table (still no top glass). 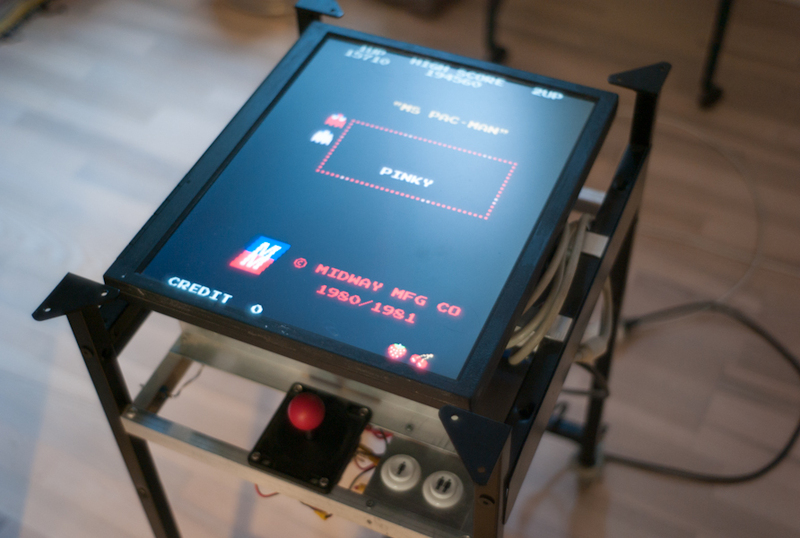 It has two Hap joysticks and an Ultimarc I-Pac USB joystick board. 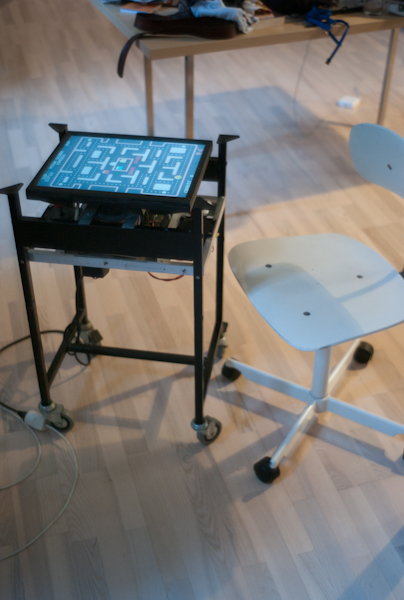 There are some setup notes on the corresponding wiki page. This entry was posted in stuff on February 11, 2011 by ben.